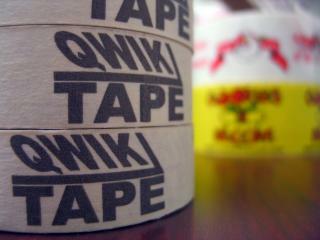 Premium masking tape printed with your choice of logos and colors. Specially formulated adhesives for easy release and good adhesion to a wide variety of surfaces. Crepe paper masking tapes with a rubber resin adhesives are a great choice for painting, construction, bundling, light packaging, and general applications. The adhesive is specially formulated for easy release and good adhesion to a wide variety of surfaces. 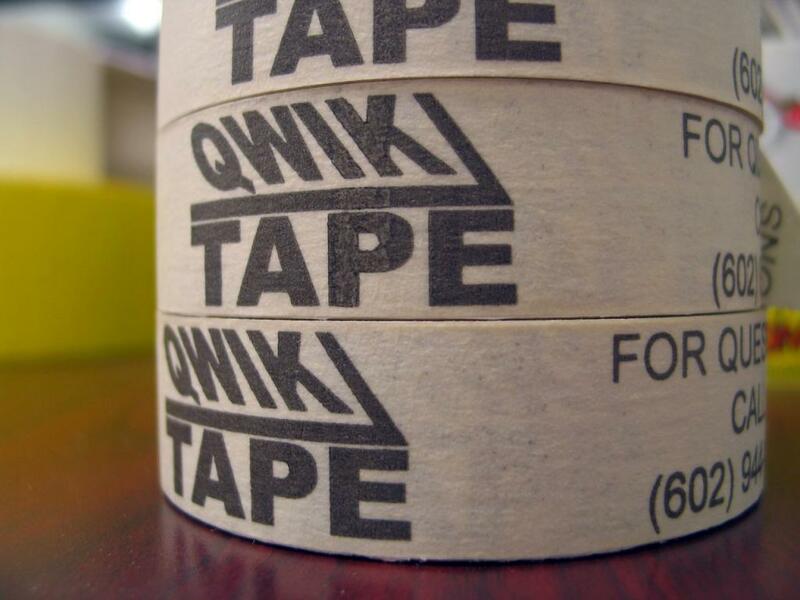 Our masking tapes come in any custom width up to 6” wide on either 1” cores for desktop dispensers or 3” cores for hand held dispensers. Tip for contractors: There are not many better ways to get brand recognition than with our custom printed masking tape. Used on the job site, it becomes a useful tool that can raise brand awareness and produce more sales. Also, printing your phone number on this masking tape can create fool-proof methods of contact while also keeping a very professional presentation. Print any custom logo, message, or contact information on our standard crepe masking tape.